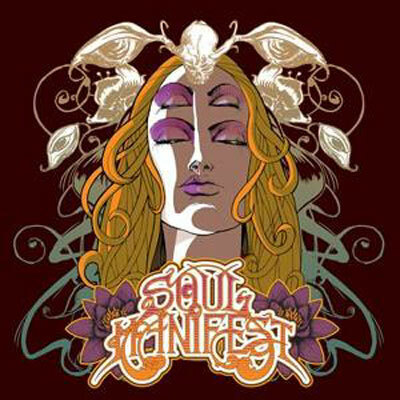 Soul Manifest - "White Season"
This is the debut release on the new Nighttripper Records label in Sweden. This band comes from France though and plays classic 70s style rock. The singer has quite a special voice but you really get used to it after a while. The opening track Dead Man is quite cool with some interesting dynamics in the way they use some effects, sneak some organ in and a pretty tripped out guitar solo at the end. White Season Part 1 is next and is another strong track where the band features some organ to provide a heavier feel to the sound as the track really builds up over time and gets almost a bit doomy. Do we have the same view is a short acoustic track. Devil’s Meeting starts with some bells and really cool organ and then turns into a quite groovy track and totally different. In fact, all 4 of the songs so far on this record are all very different. It is a pity they faded out the blues jam they started going into. White Season Part 2 starts off with some acoustic guitar, and some wind as the track slowly comes together and he plays a really cool laid back guitar solo. I really like the delay vocal on this track. Maybe the singer is a bit like a cross between the guy from Wolfmother and Brimestone Solar Radiation band??? Or is it just me? All But My Dreams Can Be Erased by the Rain is the most uptempo track on the record and also the most mainstream in some way. I like the piano you can hear far in the background on this rocked out track, which has a strange piano interlude with people like talking in a bar in the background before the track breaks out again with a guitar solo. Great number. The Light begins with some synthesizer, drums and bass before the guitar and female backing vocal (later, she sings the lead vocal) kicks in. At about 3½ mins, this 9 min track takes a quite cool and unique twist. This is a damn cool record but I really feel like the songs are just too short (except the 10min closer) as they have some many great parts but the songs always seem like they end too early. Maybe the band really jams them out live.